Deadpool is one of the best mercenaries on the planet. He may even be a passable Avenger—jurys still out. But one things for sure—Deadpool is a terrible team leader. Think were lying? Ask the Mercs for Money! Deadpools taken on a new high-paying mission to take out radioactive super villains...and his Mercs arent nearly as immune to radiation as his healing-factored heinie is. 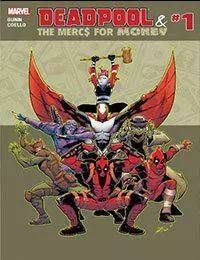 Deadpool veteran Cullen Bunn brings us mo mercs, mo money and naturally, mo problems.